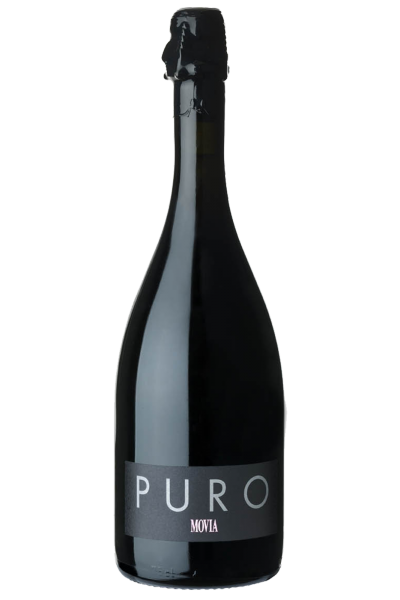 Blend composed of 60% Chardonnay and 40% Ribolla Gialla, Puro is a sparkling wine that comes from a late harvest, totally spontaneous fermentation and a maceration on the skins for at least 24 hours. The must then ages in barrique for 4 years and is then bottled, with the neck of the bottle rigorously upside down. The peculiarity is that the Movia family does not proceed to any disgorgement, so inside the bottle there are still present the lees: a very special feature that will make you live a great emotion and enjoy a product in perfect harmony with the company philosophy, completely natural! Golden yellow in colour slightly fading towards pink, has fine bubbles that tickle the nose with notes of currant and blueberry, hints of aromatic herbs and a very lively iodized note in the background. The taste is fresh, clean and consistent with the sense of smell, definitely dry with an almost tannic perception and a long memory of bread crust and toasted dried fruit. Ideal during the meal, it goes well with shellfish and cold cuts.